To begin with, here is the question that needs a clear answer: is it really so hard to run a startup? What is the most effective way to give a great presentation of your startup? Following questions really need the right answer, so, we will work on it today with the help of 10 best WordPress templates that are perfect new businesses. To say the truth, it can become harder to succeed with a startup day by day. People spend thousands of dollars for a good business plan, count all possible risks, and look for effective methods to avoid them but, as a result, everything messes up. The reason of such an unpleasant failure is a high competition that makes all preparations ineffective and drives business owners’ nuts. Additionally, people miss one important thing even while making their careful business plan. Yes, the crucial thing, in this case, will be an up-to-date way of business promotion. In fact, people can create a worthwhile idea, underpin it with a good plan, launch it, and suffer from a deep silence. Fortunately or unfortunately, we live in the digital era that has a powerful judge – social media. Therefore, you definitely need to think outside the box, and to present your startup in a way that makes you visible on the Internet. Furthermore, this way will treat you with people’s activity even with a truly bad service. You will get the most important thing that is much better than any super profitable business plan. Customers’ engagement is the thing that all business owners dream about, and a powerful website is here to hide any mistake you can make. For sure, websites come in handy as great modern tools for presenting your business. Showcase your special idea, highlight it with a high-quality content, and let people express themselves about it on social networks or make a feedback directly on your website. As we can see, there is no need to be afraid of startups, just be more attentive to little things that play key roles in modern living. Speaking of websites, you definitely need to be original in order to hit the mark! A website development industry grows up as fast as a kid of a new generation. So, it is pretty important to decide from which point you should start. Basically, there are two hassle-free ways to get a cool site. The first one allows you to look for some web development agencies. It won’t be a problem for them to help you to build a website from scratch. The only thing that may seem a little bit confusing is the price but it’s absolutely up to you. Another way allows you to build a website on your own. Of course, you might have some troubles and trembling hands but, as a result, you will save a great amount of money. Moreover, today’s web development market provides you with tons of ready-made solutions that you easily can shop online. For example, TemplateMonster is one of the most popular providers of these ready-made solutions. It offers people with premium templates and themes for 15 years. Here you can get a high-quality template with a trendy and classy design for truly any possible kind of business. In fact, we would recommend you powering your website with WordPress. This is the most popular CMS that allows you to build a stunning site without any particular skills in coding and programming. Basically, there is an easy recipe of a well-done website for newbies and advanced users as well. Download the WordPress engine and combine it with one of the premium business WordPress themes! There is nothing more easier because each theme has a simple step by step documentation and a lifetime 24/7 support! To help you to find the coolest theme for your startup, we decided to present you 10 best WordPress templates for new businesses. View them out, and hurry up to succeed! Are you in a search for the best WordPress template for your business? Then take a look at this modern and incredibly functional theme – Monstroid 2! The template is truly multipurpose, therefore, it’s an ideal variant for any possible type of business. Being fully responsive and cross-browser compatible, it shows a great site’s performance on any modern device and browser. Moreover, Monstroid 2 comes with 9 design options, so, you can choose any among of them to run your startup. Meanwhile, various headers and footers mixed with multiple blog layouts will help you to create a professional and, what is more important, unique look of the website. If you are looking for a black and white theme that will give a modern look to your future website, Achromatic is the best option that was ever made. With the help of Page Builder Plugin, you can easily customize the website without any coding skills. Moreover, if you think that these two colors are getting a little bit boring, you have an opportunity to change a color scheme and give a vibrant look to the website, giving it some vivid hues. In addition to everything, your clients will be delighted with a powerful design of the website which will make the visiting a very comfortable experience. .
Emmet is your perfect solution if you want to build a high-profitable WordPress-powered website for your business. With the help of Front Page Customizer, you can edit the pages whatever you like. This template allows you to customize it using a multiplicity of color solutions, therefore, you can easily make your website a fresh look and change some things in its design. Moreover, a Visual Page builder allows you to compose responsive pages without any coding, just with the help of simple dragging and dropping! Also, Emmet is fully compatible with WooCommerce, BBPress, and BuddyPress, hence, you can get the most of your website with ease! Save a plenty of time and money just by purchasing this modern and powerful theme which comes with various features that will be more that useful for your future online project. To begin with, Groutek has a variety of home, about, custom and portfolio pages that will give a trendy look to the website. Moreover, the visitors will be impressed with an amazing parallax effect and different blog layouts that will be definitely to their taste. So, make everyone want to take a look on your business website with the help of this marvelous theme! Crafted with care, Advisto comes with a powerful Power Page builder that will save you a plenty of time. An enormous number of premium content modules allow posting various types of content on the website pages. A wide range of custom widgets allows you to give your online-project an impressive functionality. Furthermore, it comes with a WordPress Live Customizer, so you can view every possible change that you have made in a live mode. Designed by top industry leaders, Advisto has a clean code, a SEO-friendly nature, and a friendly helpful 24/7 support. If you are an advocate or attorney who wants to give some crucial details about provided services online, grab this theme because it was made exactly for such a purpose. A clean and nifty design won’t distract the clients from the main idea of your online project, but make a visiting of the website a pleasant process. Moreover, you have an opportunity to post some additional information about your latest achievements using the blog. Tell everyone about your skills in advocacy using this template! Taylor is one of the greatest options if you’re looking for a high-quality and spectacular WordPress template for your business. There are some reasons for it. Firstly, you can present your financial accounting services in details because of a Cherry Services plugin. Meanwhile, Cherry Testimonials plugin will give your website a trustworthy and worthwhile look. In addition to his, with the help of Appointment Booking plugin, it will be easy for your customers to book a meeting right on the website. Furthermore, Taylor provides give an opportunity to edit the template in a WordPress Live Customizer. This enthralling and powerful business WordPress theme has a strong builder plugin. So, the customization will seem to you a very easy process. It’s no surprise that your potential customers will be impressed with its breathtaking design that is modern and practical at once! Don’t hesitate and make your ideas come true with the help of a wide palette of colors, exciting readable fonts and various pictures of this gorgeous WordPress theme right now! 7 Level is a fully responsive and retina-ready WordPress theme that was made exactly for business websites. It comes with a powerful MotoPress editor that allows managing of the site’s pages in a real-time mode. Meanwhile, an elegant MotoPress slider will help you to create captivating and professional-looking slides with multiple types of content. 7 Level includes PSD files, valid semantic code, intuitive installation, Google Maps integration, cross-browser compatibility and other amazing and helpful features. Grab this theme and give a promotion to your website online! The last business theme for today that not give an inch to the previous variants. The theme is fully-responsive and even gives you an opportunity to turn it into a blog. In addition to this, it allows uploading a custom logo and changing a color scheme which is crucial for such a type of the website. What is more, you shouldn’t make any efforts to install this theme, everything is more than clear. Buy this theme and boost your site online! So, guys, how do you like the bundle? Which business template would you like to get for your startup? Feel free to share your thoughts in the comments section! We hope that this article will help you to kill all your doubts that you had about starting a business website. Just be attentive, work hard, and get your long-awaited with these 10 best WordPress templates for new businesses! I want to suggest you one of the best WordPress theme named Veriyas Pro. It is beautifully designed responsive WordPress theme. 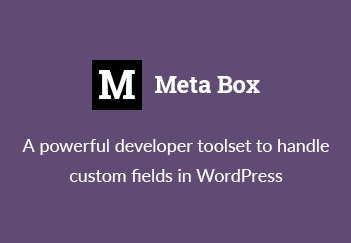 It comes with fully widgetized custom homepage, short-codes, drop-down menus, slider plugin and Blog designer plugin support and lots more other useful features.